Floodz Bar and Grill, overlooking the first tee box at Fern Hill, is a great place to relax after a round or grab a bite to eat with friends during the game. Our menu features a mix of American and Italian comfort foods with a large beer, wine, and spirit selection to suit any taste. Floodz Bar and Grill also offers an outdoor patio for your enjoyment and our facility can easily accommodate large groups. Our main bar area features Big Screen HDTV’s for your sports viewing pleasure, and we offer Michigan Lottery Club Keno and Pull Tabs. 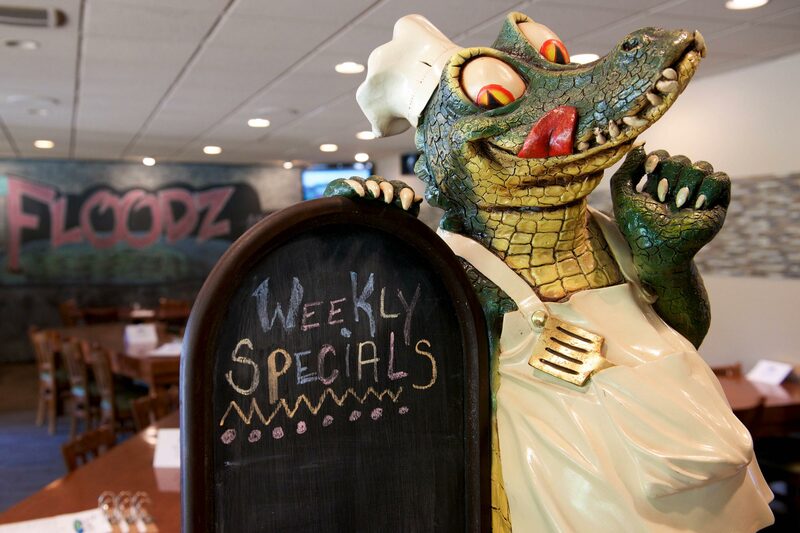 "Floodz is the place to grab a drink and enjoy a meal"
Our menu features a mix of American and Italian comfort foods with a large beer, wine, and spirit selection to suit any taste.